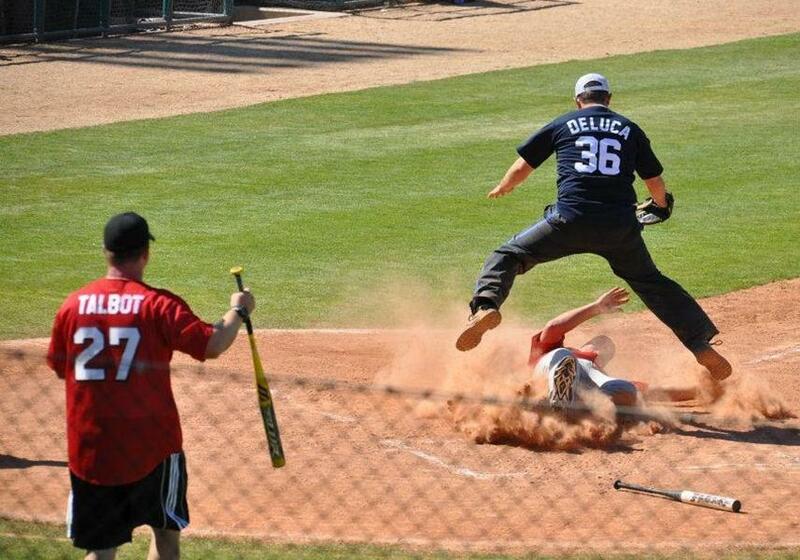 California Highway Patrol won the Guns vs. Hoses Charity Softball Tournament Sunday. 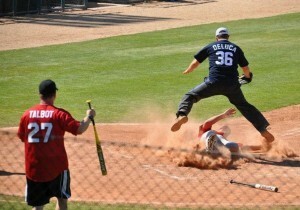 CHP officer Jason Wilber slides to home plate. 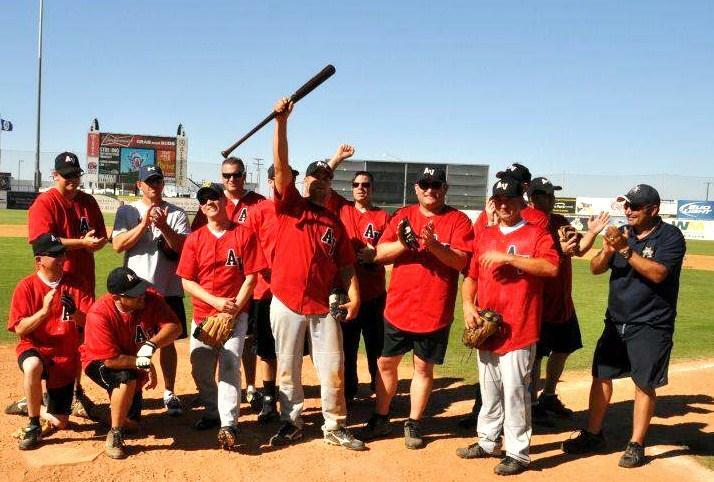 LANCASTER – California Highway Patrol outplayed the American Medical Response team Sunday and sailed to victory in the fourth annual Guns vs. Hoses Charity Softball Tournament. 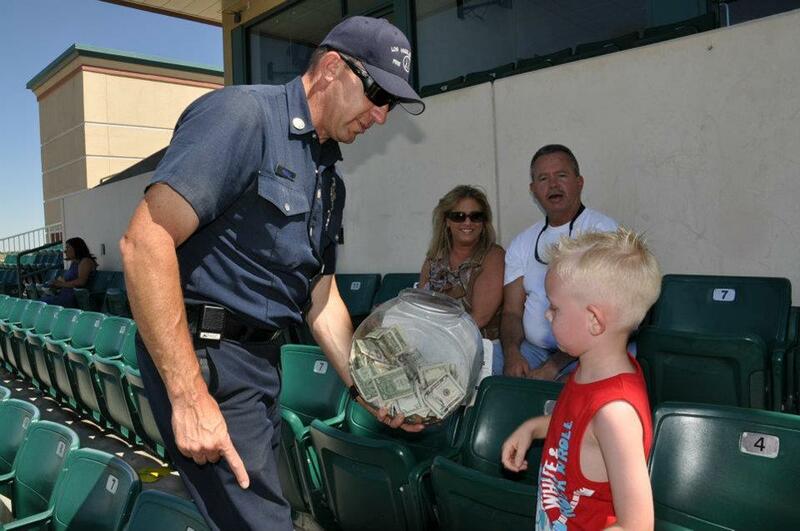 The event capped off the Lancaster JetHawk’s Fourth Annual Local Heroes week, which celebrates the area’s first responders. The Guns vs. Hoses Tournament was also to raise money for the Fallen Heroes Fund. The event raised more than $1,500 for the Fallen Heroes Fund. This year’s event raised about $1,500 for the Fallen Heroes Fund from friends, family, and supporters who attended Sunday’s game. Fundraising efforts also received a boost from First City Credit Union, which handed over a check for $500.